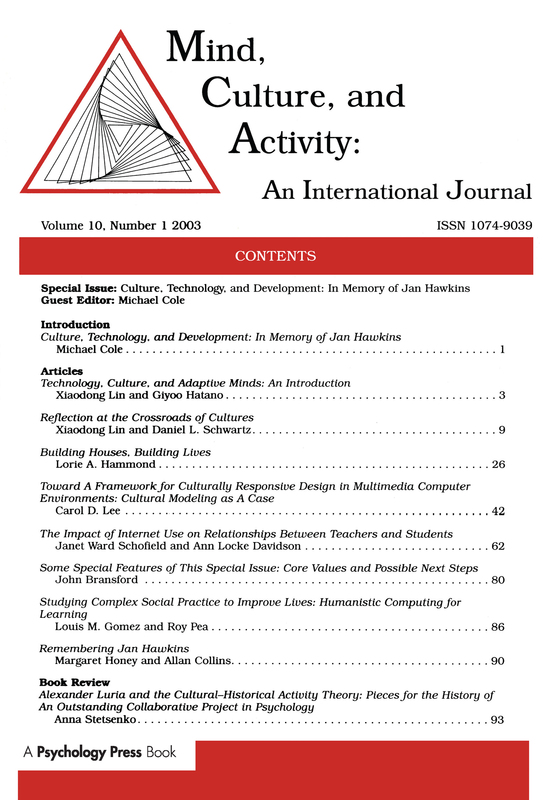 This special issue provides a set of articles written by former colleagues and friends of Jan Hawkins--a member of a talented group of graduate students who participated in the weekly seminars held in what was then referred to as the Institute for Comparative Development during the mid-1970s. The single theme that brought together this diverse group of scholars and that dominates the papers in this issue is the belief in the value of human diversity not only as a resource for understanding human nature, but as a necessity for continued human development. The articles and commentaries testify that the ideas, practices, and values that Jan Hawkins helped to create in the mid-1970s are now found around the world.